Profile: “Not another moment lost to seizures.” We are a community of people on the epilepsy spectrum. People whose lives have been impacted by seizures but who strive together to ensure that everyone with epilepsy is empowered to live full, active, healthy lives. Whether you have uncontrolled epilepsy or you are experiencing freedom from seizures. Whether you are a parent or loved one of a person with seizure disorder. You are part of this dynamic community. TOGETHER we will: RAISE epilepsy awareness RAISE the standard for quality of life for people with seizures RAISE funds for vital services, educational programs and research. 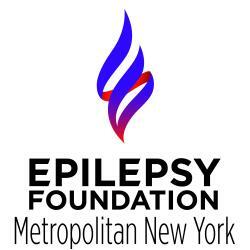 The Epilepsy Foundation of Metropolitan New York is a nonprofit 501(c)3 organization which provides empowerment programs and support services to individuals and families affected by seizure disorder. The Foundation also serves the greater metropolitan area with epilepsy awareness and seizure first aid training. Since 1967 thousands of people with epilepsy and their families have benefited from EFMNY’s comprehensive social and educational services. Our services include: counseling; vocational services and job placement; prevocational and respite services; service coordination; information and referral services; socialization programs and educational presentations. The Foundation also sponsors support groups, community educational presentations and other events throughout the year. For more information, please visit our website at www.efmny.org or call 212-677-8553.